BL Magazine, March/April 2016. Original article p46-48. It’s a long time since freelancing was just a fancy word for temping – self-employment has become an attractive choice for motivated workers seeing flexibility and opportunity in the brave new world of work. Do you want to be your own boss? If the answer is yes, you’re not alone – the number of people choosing the freelancing life is soaring. 20% of us will be freelancers by 2020, according to the Office of National Statistics, with the current 16% being the highest since records began. This prediction could actually end up being modest, as the outlook for freelancing is actually higher in the US: Intuit predicts a whopping 40% of US workers will be independent by 2020. Never before in modern times have we been so willing to go it alone in the world of work. 87% of respondents in a 2015 survey by PeoplePerHour said they would choose self-employment, spurred on by the promise of flexible hours, independence, and potential for increased creativity and work satisfaction. “The upside of freelancing is that people get different opportunities, experience on varied projects, and to meet new people. They also avoid the dreaded appraisal, and get to stay away from office politics,” says Shelley Kendrick, director of Jersey-based recruitment firm Kendrick Rose. 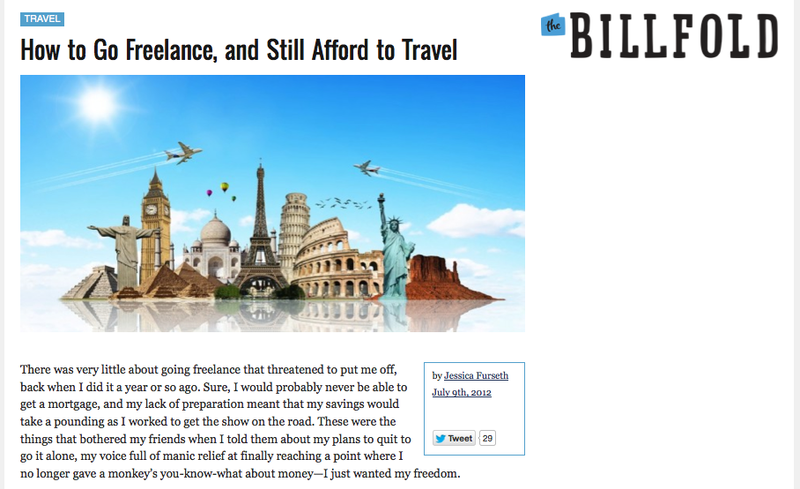 But freelancing isn’t for everyone. “Contractors are usually hired for projects where things can change, and they have to roll with that. They have to hit the ground running, as they’re on a daily rate. And when the work is gone, they have to get another contract,” says Kendrick. Freelancers are also responsible for their own benefits such as sick pay, holiday pay and pensions. Overwhelmingly, the PeoplePerHour study found the main drawback to freelancing to be lack of stability, and fluctuating income. More freedom in exchange for less security has always been a key tenet of self-employment – that doesn’t explain its recent popularity. There are a number of longterm societal trends at play: the rise of technology, the decline of jobs for life, weaker unions, higher qualifications among young people at a time when it’s harder for graduates to get work – all creating disillusionment with the traditional model. The recession has a lot to answer for: cutbacks and zero-hour contracts meant freelancing became a last resort for some, while others decided to go it alone after being made redundant. The sum total of all these factors mean businesses now rely more than ever on non-permanent staff. But does that mean freelancing has become more respected? It’s not that long ago it used to be something you did if you couldn’t get a real job. Philip Dodson, founder of London coworking space @WorkHubs, laughs as he admits his mum, who wouldn’t dream of disturbing his brother at the office, often calls him in the middle of the day. “But I do think [freelancing] is starting to be seen as more respectable, and something more people would actually like to be doing,” says Dodson. @WorkHubs, which caters to independent workers and small businesses, has several tenants who work in tech, but there are plenty of other professions too – there’s even an independent finance director. Older, so-called ‘silver’ freelancers are on the rise, Dodson has observed, but recent graduates make up a significant slice, as they increasingly opt for a career outside the corporate structure. But the fact remains that not everyone who works for themselves are entrepreneurs. Some people are self-employed because they have no choice: maybe their profession runs on contract work, or it’s harder to get a salaried position now. People working on laptops in cafés may be the image of freelancing, but the most common self-employment professions are actually construction, taxi-driving, and carpentry. And if the barista at that café is on a zero-hour contract, they are something of a freelancer too – arguably not a happy one. The Channel Islands always have to pull talent from far and wide, and that’s no different when looking for freelancers, says Kendrick of Kendrick Rose. She points to the strict residency rules affecting contract workers, meaning just hiring someone on a three-month contract isn’t that cut and dry. “You can get freelancers from the UK and lots of businesses do, but it’s costly: you have the flights and accommodation, plus the higher rates of a contractor,” says Kendrick. But, she acknowledges, having access to more remote freelancers is potentially a positive for the skills gap on the Channel Islands. Atkinson of Greenlight concurs: “For some complex undertakings, the Channel Islands will inevitably have to look to the UK for experience.” The key, adds Atkinson, is to make sure this imported experience is passed on to the company’s full-time employees. * Permalancing – is it legal? The dark side of freelancing is when companies take advantage of people’s desire for flexibility to avoid paying benefits. Because is it really freelancing if you work steadily for just one company? British drivers are taking taxi startup Uber to court over this, arguing they are in fact employees and deserve to be treated as such. Their lawyer, Nigel Mackay, told BBC News that Uber is in breach of employment law, because of the way they’re controlling their so-called freelancers. Uber provides initial training, guides to routes, and requirements for minimum hours. Uber could also find itself on the hook for not ensuring drivers take rest breaks, not to mention providing sick pay and other benefits. Uber’s defence? Drivers love the freedom to work when they want.